Walcott was a prolific and versatile poet whose work captured the essence of his native Caribbean and earned him a reputation as one of the greatest writers of the second half of the 20th century. 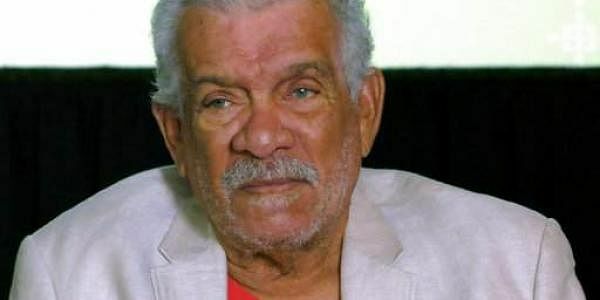 St. LUCIA: Derek Walcott, a Nobel-prize winning poet known for capturing the essence of his native Caribbean, has died on the island of St. Lucia. He was 87. Walcott's death in the eastern Caribbean nation was first confirmed early on Friday by his son, Peter. The prolific and versatile poet received the Nobel Prize in literature in 1992 after being shortlisted for the honour for many years. In selecting Walcott, the academy cited the great luminosity" of his writings including the 1990 "Omeros," a 64-chapter Caribbean epic it praised as "majestic." With passions ranging from watercolor painting to teaching to theatre, Walcott's work was widely praised for its depth and bold use of metaphor, and its mix of sensuousness and technical prowess. He compared his feeling for poetry to a religious avocation. Walcott's treatment of the Caribbean was always passionate but unsentimental. In his 1979 work about Jamaica, 'The Star-Apple Kingdom' he wrote of the "groom, the cattleboy, the housemaid ... the good Negroes down in the village, their mouths in the locked jaw of a silent scream."